We strive to give you the best dental experience possible. Dr. Raymond Hahn DDS is a boutique style San Francisco dentist who specializes in cosmetic & general dentistry practice ideally located between Union Square & the Financial District in San Francisco. Financial District Dental Care excels in smile makeovers, whitening, all-porcelain crowns, Invisalign, white fillings, cosmetic implant restorations, and comprehensive oral hygiene services. Our practice has the latest in high-tech equipment including digital radiography, intra-oral cameras, soft tissue lasers, and air polishing hygiene systems. "Many dentists claim to be 'the best', but few match the skills and artistry of Dr. Hahn. He truly is 'the best'! He does not do 'one size fits all' with treatments. Rather, he looks at each individual case with an emphasis on protecting natural teeth whenever possible! Not all dentists do this! He has an artist's eye and a technician's skill. Outstanding! No one I've been to comes close." 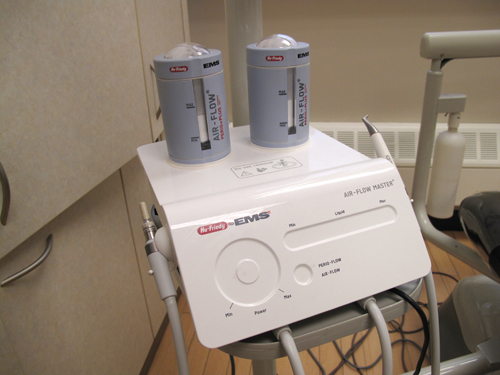 Financial District Dental is proud to offer the San Francisco area some of the best technology available. We provide the latest services in x-rays, sedation, laser dentistry, and more. Air-Flow Tooth Polishing is our latest commitment to providing the latest technology to make your smile look great. 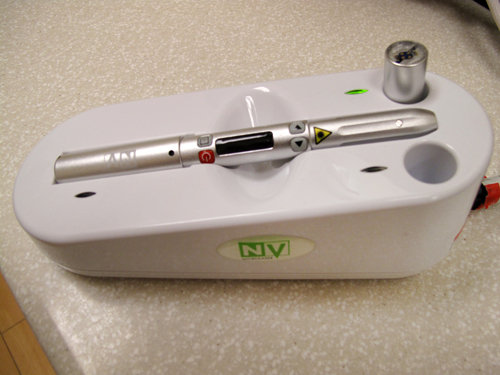 NV MicroLaser is a diode laser that looks like a pen. Most people describe laser procedures as easy and painless. Don't let April showers keep you away! Schedule an appointment, and spring on in to see us this month! It's prom season! Make sure your smile is on point, and schedule an appointment today! Remember: your teeth can't heal themselves. Schedule an appointment to keep them healthy and strong!